Well, that annoyed me a bit, because Shawn of the Dead is a horror movie. Sure, it has plenty of comedy, sure, but this movie is – at its core – a horror film. A very good horror film. Yeah, the stars and director are known for comedy. Yeah, it has a satirical title that plays off Dawn of the Dead. I don’t care. There are plenty of horror movies that make us laugh. Shawn of the Dead has the heart of a horror movie. An American Werewolf in London makes me laugh just as much as Shawn, and it’s rightfully considered one of the best horror films out there. So what is it about Shawn that makes the movie a horror movie? Several things, actually. 1. It was written for fans of horror. This movie can only be appreciated if you’re a fan of horror. The references – even the jokes – are for horror fans. For example, if someone hasn’t seen Night of the Living Dead, there’s no way they’ll appreciate the “We’re coming to get you Barbara” line. 2. It has excessive gore. Now, I understand that’s not a requirement for horror, but it’s certainly a common element. In Shawn, people are eaten. Badly. The have their insides ripped out and devoured by hordes of undead. And when it happens in the movie, it’s done in a horrifying way, not a comical way. 3. It has human drama. The human drama in a movie is the reason horror works. If you don’t care about the characters, you don’t care about what happens to them. There are several emotional moments in this movie, but the one that hits me hardest is the scene with Shawn’s mother. I won’t spoil it in case you’ve not seen this movie, but that scene has the emotional resonance that comes with any good horror movie. 4. It’s scary. Now, this movie doesn’t have many traditional scares, but it most definitely captures the hopeless feeling common to all zombie stories. There are multiple moments where this movie is just as tense as any zombie film. There are other reasons, but those are the four big ones. The reason I wrote this article was because my friend’s comment about Shawn being a spoof made me start to wonder how many fans of horror have passed this movie by just because they thought it was some kind of zany comedy. Well, I’m here to tell you, it’s a great zombie movie (definitely in my top three). 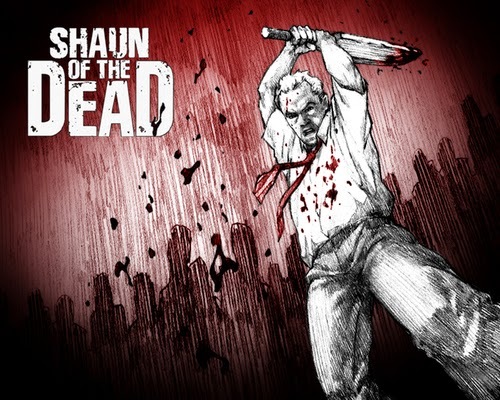 If you’ve skipped Shawn of the Dead because you didn’t think it was a horror film, I highly recommend you give it a shot. It’s got plenty of comedy, but the laughs are for fans of horror. And the rest of the movie is a more traditional zombie film than most of the modern zombie movies out there. So check it out. You won’t regret it.